I've only recently started wearing pants as part of my rotation of business casual clothes. 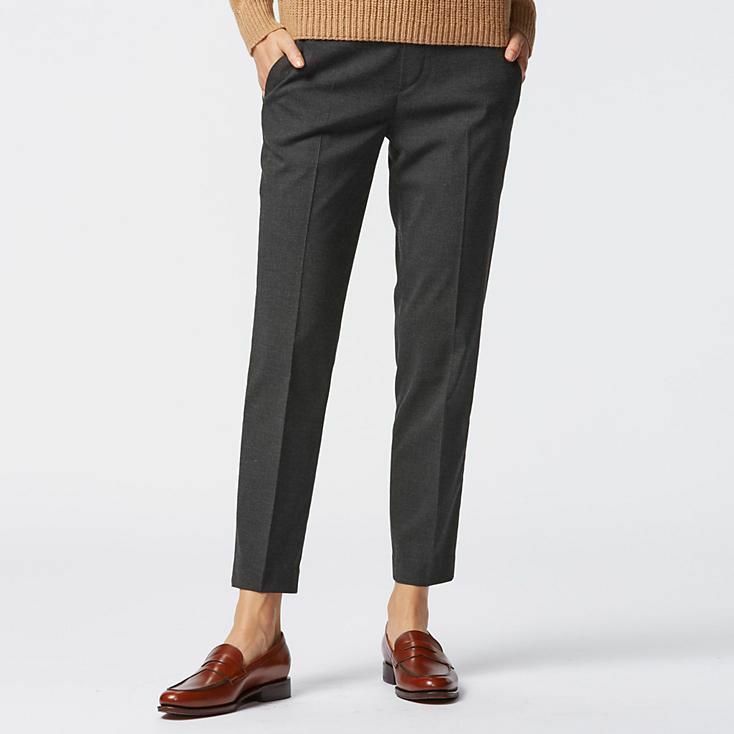 Because I'm finding that the one pair I owned is not quite enough for me now, I've been vaguely in the market for another pair of slimmer-cut slightly-tapered or straight-leg slacks. I have no patience for shopping for pants, however, and I wasn't particularly ready to invest in anything too expensive. 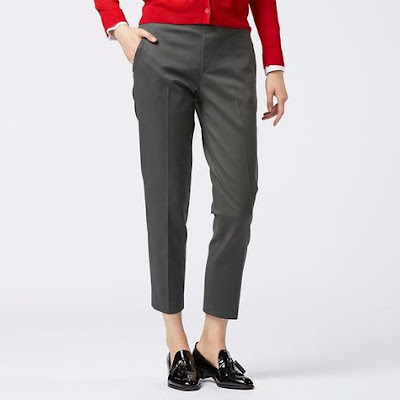 Fortuitously, someone on my college alum Facebook group posted about Uniqlo's ankle-length pants, and I had a chance to try two different varieties: one at the store, and one via online order. 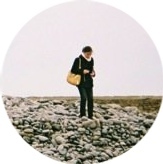 I've opted to keep two pairs of the Cotton-Blended Ankle Length Pant, one in black and one in a "dark green" (pictured above), that actually looks gray in almost any lighting. On my 5'3'' and short of leg self, both of these ankle-length pants look full-length, cutting off right at the boney part of my ankle, rather than having the cropped look they have on the model. They're incredibly easy to wear and very comfortable, with an elastic waistband rather than a zipper closure. At $39.90, the price is right, especially because I'm still in the experimentation stage when it comes to opting for pants rather than skirts and dresses at work. One potential serious downside with this style is that it has a contrasting waistband, which is covered in the above photo, but can be seen in Uniqlo's photos of the other colors. It doesn't matter much to me because I am always wearing a jacket or sweater that will cover the waistband at work. However, I feel like that this design element is enough to take these pants out of serious consideration for many other customers. The pants just won't be formal enough for many workplaces when the waistband is visible. I have some concerns about how these pants will do in the wash. Some of the reviewers say that the cotton blend wrinkles badly, though I haven't noticed that while trying them on several times. Another reviewer reported shrinkage, which would be a bigger concern. I also ordered the polyester blend Ankle Length Pant to try, though the gray were sold out in my size, which was a minor disappointment. My thought on this was that I suspected the polyester might hold up better to washing, and a major plus is that they lack the problematic contrasting waistband detail. They're also easy to wear because, like the other design, they rely on elastic at the waist to hold them up. These run a little smaller than the cotton-blended version, and I found that this style was less flattering, both because of the smaller fit and because of the way the fabric skims over the body less smoothly. The fabric feels thinner and cheaper with these too. Keep in mind that both styles are unlined. (EDIT 12/8: after taking a closer look at more pairs of formal suiting pants and chatting with a friend, it seems that the norm at American retailers and brands up to the Theory price point is for women's pants to be unlined. Maybe that goes for all suiting pants and my cluelessness is showing!) They're definitely made to be affordable more than anything else.